Anyone who has been to Madrid will tell you how welcome they’ve felt. This may be down to the happy, outgoing nature of the locals, thanks to the city’s 3,000 hours of sunshine a year, its age-old status as a cultural melting-pot and national capital or, perhaps, its strategic location between continents; whatever the reason, the fact is that Madrid has a fabulous vitality which infects all visitors. The streets are the natural sett­ing for Madrid’s special and unique way of life. Initiatives and events crop up around the city every day, injecting yet more life into its unbeatable cultural agenda. 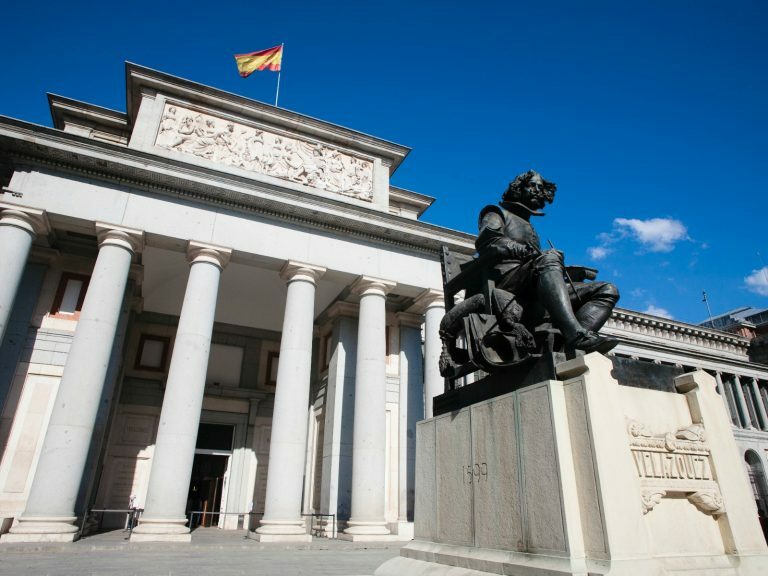 With ninety museums and more than two thousand historical monuments, Madrid boasts an unrivalled artistic wealth spearheaded by the Prado, Thyssen-Bornemisza and Reina Sofía Art museums on the renowned Paseo del Arte (the Art Walk). The selection of cuisine, shopping and leisure activities are a faithful reflection of the city’s lust for life, its respect for tradition and its commitment to the avant-garde and sustainability. 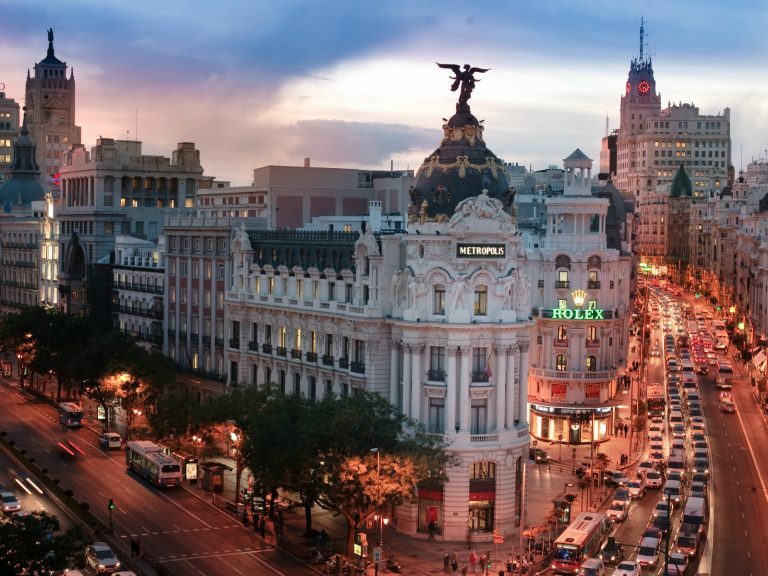 With over 3,000 restaurants, a huge variety of shops for all tastes and budgets, an enviable cultural and sporting calendar, and all imaginable options for a great night out, Madrid is one of the most fun cities in the world. 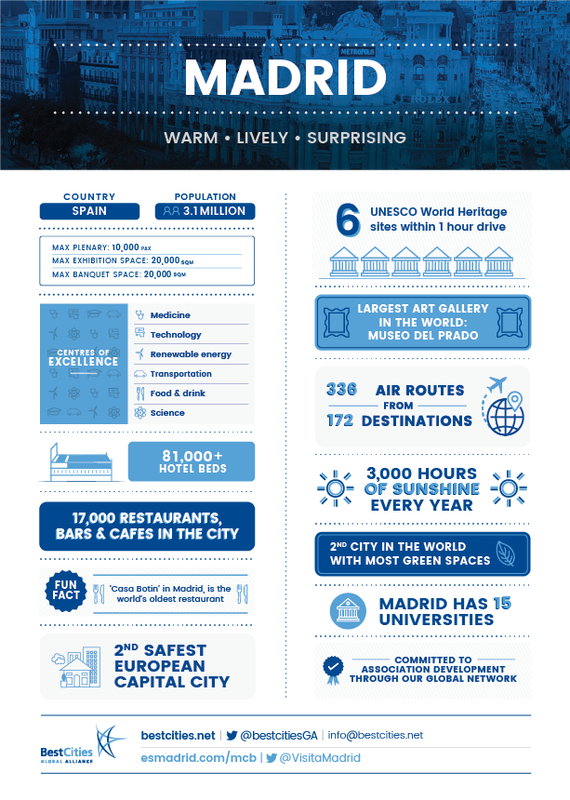 With so many entertaining options to choose from, Madrid is the first business tourism destination in Spain and one of the world’s favourite capitals for holding events and conferences, according to the International Congress and Convention Association (ICCA), which places it fifth in its ranking. Its economic vitality as the capital of the country is complemented with an excellent infrastructure, modern congress facilities, highly specialised services and an excellent hotel sector with more than 81,000 beds in the City. But it is not just these competitive advantages that make the difference compared with other destinations, but also the possibility that the capital offers to combine work and fun. 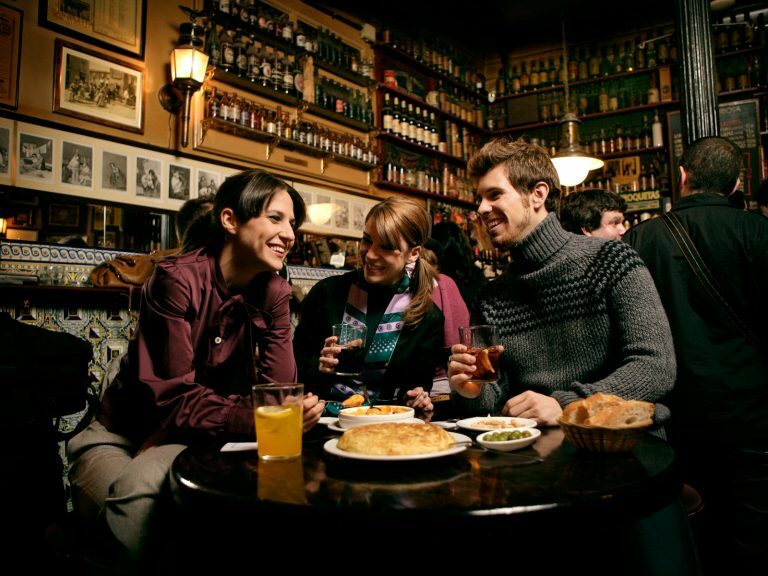 Because in Madrid, leisure and business are complementary and doing business can be a real pleasure. Please visit www.esmadrid.com/mcb to find out more. 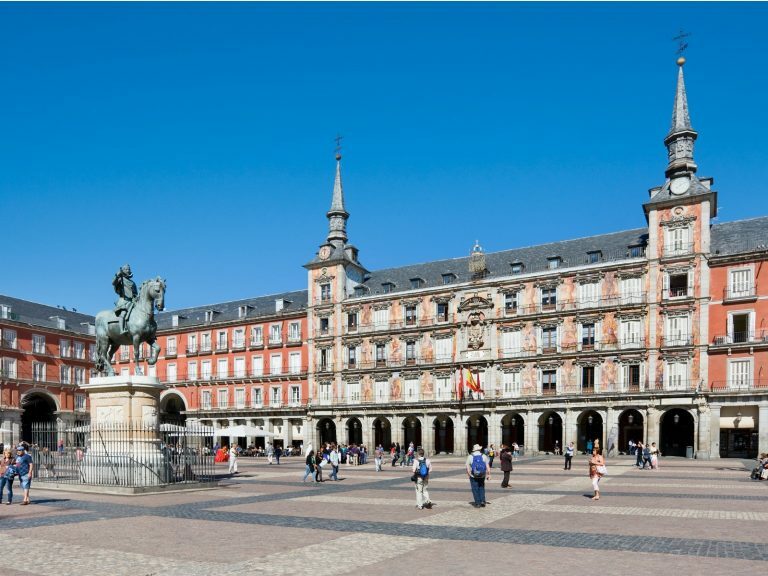 Click here to download images of Madrid.